Co-captain Chelsea Randall has been named in AFL Media AFLW Team of the Week for the fifth time this season. Randall displayed her trademark courage, including a contested mark in the last quarter going back with the flight of the ball, to go along with her 11 disposals and six tackles. Three other Crows were named alongside Randall in the team. Sarah Allan, on the back of her NAB Rising Star nomination, was also named after having the best game of her short AFLW career. She cut off numerous Fremantle forward entries and held firm in the frantic final minutes of the match. Fellow defender Angela Foley was named in the team, after having a big influence on her home ground of TIO Stadium. Foley had 15 disposals and six tackles and rebounded well off half-back. 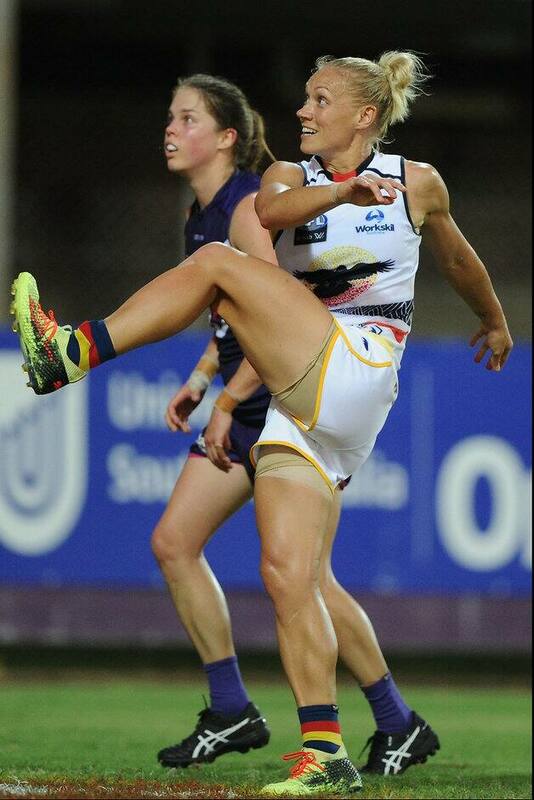 Erin Phillips was the other Crow named in the team. She was a constant threat up forward, always keeping her feet and going on to kick three goals. The team is selected to mirror the All Australian team: five defenders, six midfielders (including a ruck), five forwards and five interchange players. Like the All Australian team, we have selected players in general categories, rather than in traditional positions. The 16-a-side set-up often means teams play with differing configurations, making set selections (e.g. wings and flanks) difficult.